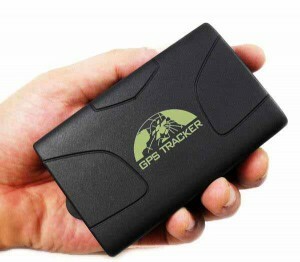 Our GPS Car Tracker long life battery lasts for over a month! The GPS Car Tracker magnet is extremely powerful – hold it near a vehicle and it will be pulled from your hands as it fixes firmly to the metal. You won’t find a GPS Car Tracker Long Life Battery that last lasts longer. Simply stick it under a vehicle, leave it, and track it either online or via text messages. We sell GPS Trackers that are robust, functional, and easy to use with a detailed English manual. We provide a full step-by-step guide to getting set up with online GPS tracking (for FREE!) and don’t charge any extra costs whatsoever. All you need is your own GPS Tracker SIM card for the GPS Vehicle Tracking – but if you need one, we can provide them for free too, you then just pay the text costs (which are incredibly cheap). 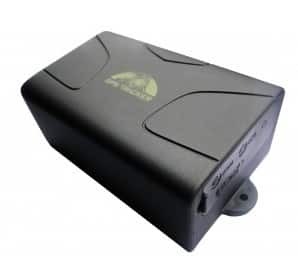 Our GPS Car Tracker has a long life battery as well as excellent GPS tracking features. You can set the Car Tracker to send you GPS Google Map text location alerts when it goes over a certain speed, or out of a certain zone (e.g. 30 miles away). The car tracker even has a small built in microphone, so if its inside the car, you can call it to listen in via the microphone. The Car Tracker Long Life Battery lasts for over a month with regular location reports. When the car is stationary, the Car Tracker automatically goes into standby. When it moves again, the car tracker automatically starts tracking again. On standby, the Car Tracker’s long life battery lasts for 60 days. The Car Tracker Long Life Battery means that you track a vehicle online for over a month. Our online tracking platform gives a 30 day history – so you can see where the vehicle has been at all times. Its totally free – you only pay for the SIM card inside the car tracker, which should be no more than £5 per month. No special software is needed – you simply log into a website and see where the vehicle is on a map – with small lines connecting the dots of where its been. If you get stuck, we can quickly and remotely set the car tracker up for you, by sending the required text commands to your SIM number. Click here for more information about our GPS Car Tracker, or GPS Vehicle Tracking in general. If you have any questions about the GPS Car Tracker long life battery, functionality or anything else, please get in touch.